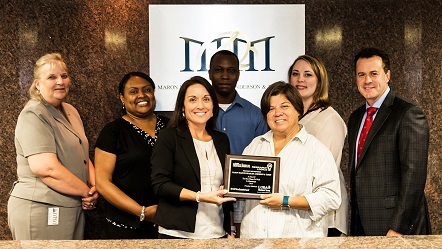 Maron Marvel is proud to be named as one of the Best Places to Work in Mississippi by The Mississippi Business Journal. The winners of this annual award emerge through participation by employees in an anonymous survey that is administered in strict confidentiality by a research firm. Maron Marvel was presented the award during a luncheon held on June 28, 2018.